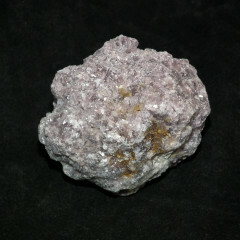 A gorgeous lilac or purple Mica based stone, typically used as a source for lithium, rubidium, and caesium. This stone is a member of the Mica family, an aluminium silicate. 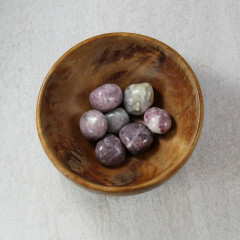 It is a soft stone and is generally not used for jewellery or any carvings, etc – although it can be sold tumbled. 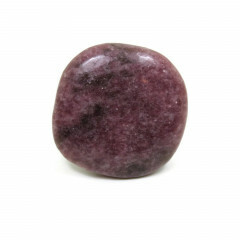 It can occur in several colours, and is quite an attractive stone – but it is so soft it has little use in jewellery etc. In industry, it is used as an ore of Lithium, Caesium, and Rubidium. This stone is found in a range of locations around the world, including the Czech Republic, the Ural mountains, South Africa, Brazil, and the USA. It is thought to help with the treatment of some mental health conditions, including depression. This is probably a reference to the Lithium content of the stone, as Lithium is used as an antidepressant in some countries.